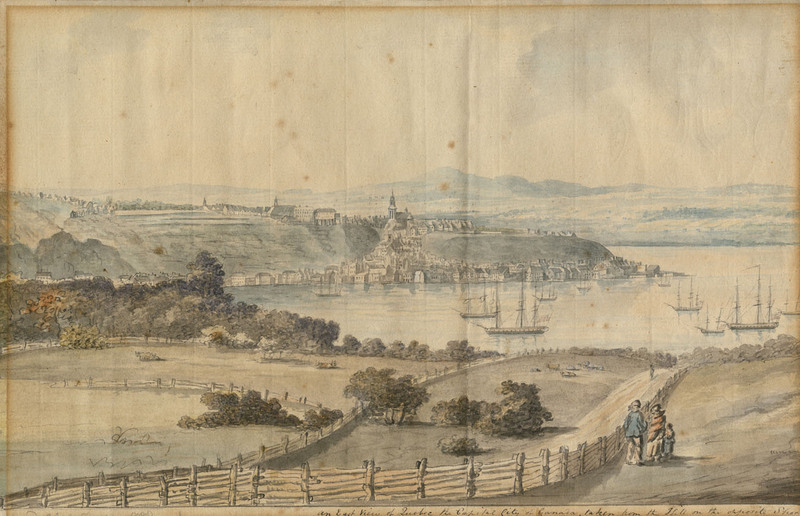 View of Québec from the hill on the opposite shore, [1788?]. 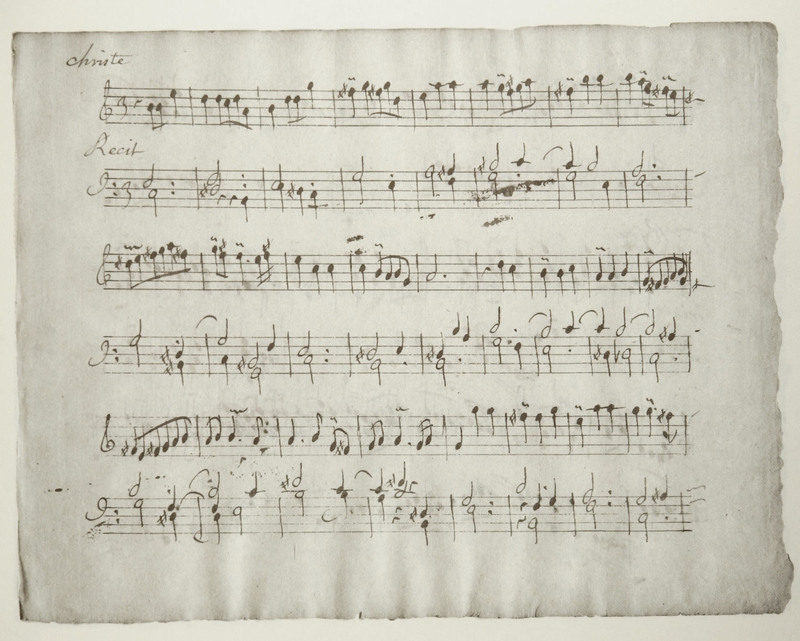 Library and Archives Canada. Peter Winkworth Collection of Canadiana, R9266-492. 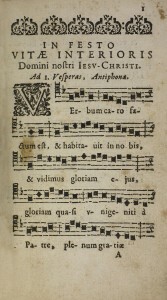 In colonial Canada, liturgical chant was essentially confined to New France and naturally grew out of liturgical practices prevalent in 17th-century France. 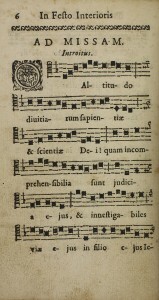 In the early days of the colony, religious orders in the city of Québec, such as the Jesuits, Ursulines, and Hospitalières Sisters established institutions where plainchant was developed. 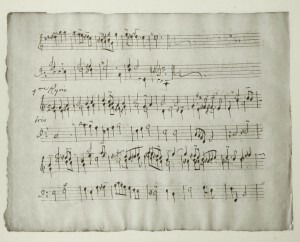 In Montréal, the musical activities of the Notre-Dame parish, founded in 1683, and those of the Sulpician Order, who established the Seminary of Saint-Sulpice, played an important role in allowing liturgical music to flourish. 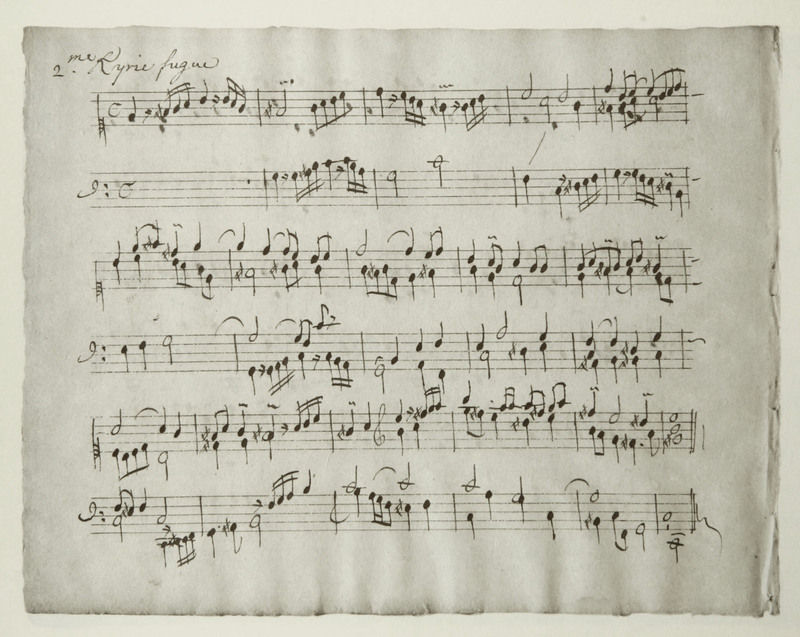 The French organist Jean Girard arrived in 1724 with several music books; including one that was later discovered in the archives of the Sulpicians in Montréal and became known as the Livre d’orgue de Montréal. 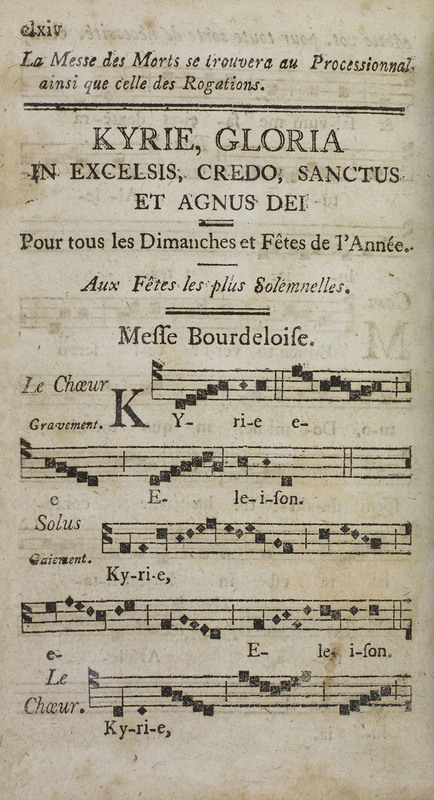 In 1750, the Sulpician Poncin came to Montréal with a copy of the Messe Bordeloise, which became immensely popular in the colony. 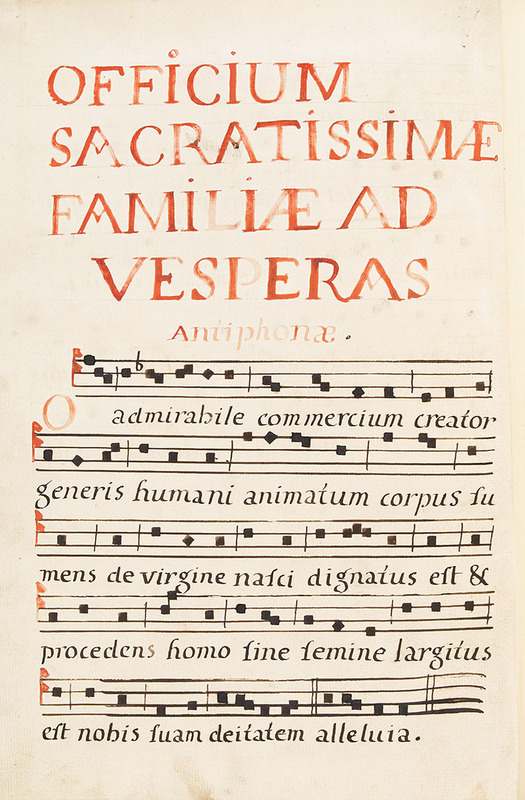 Finally, female religious communities such as the Sœurs de la Charité (Sisters of Charity or the “Grey Nuns”) and the Congregation of Notre-Dame played a seminal role in the development of musical practices tailored to the devotional needs of the Catholic faithful in New France. 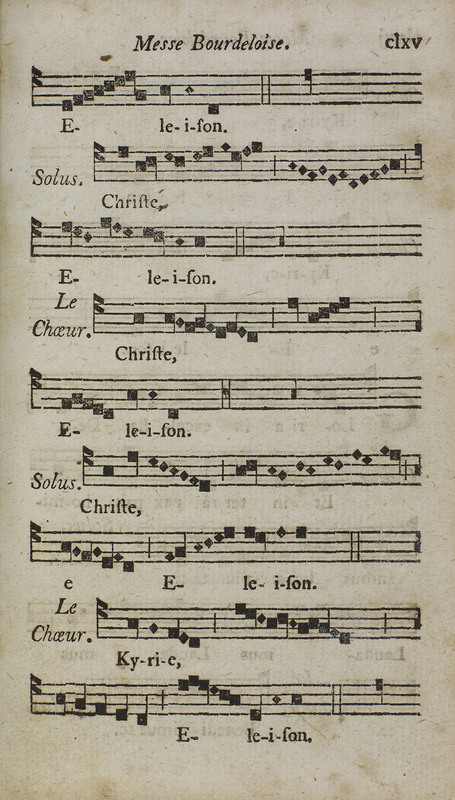 Except for the pages from the Livre d’orgue de Montréal, the digital reproductions in this exhibition are taken from the liturgical chant books found in the rare books and manuscripts collections at Library and Archives Canada. 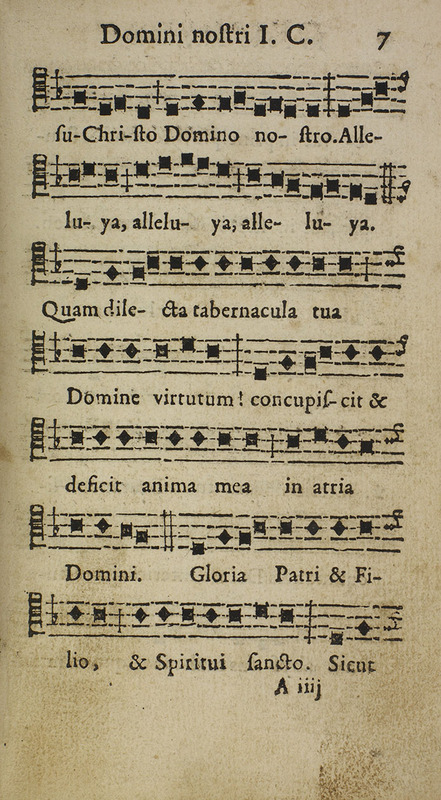 They reflect many of the aforementioned liturgical origins and particularities of chant practice in colonial Canada from the 17th to the end of the 19th centuries. 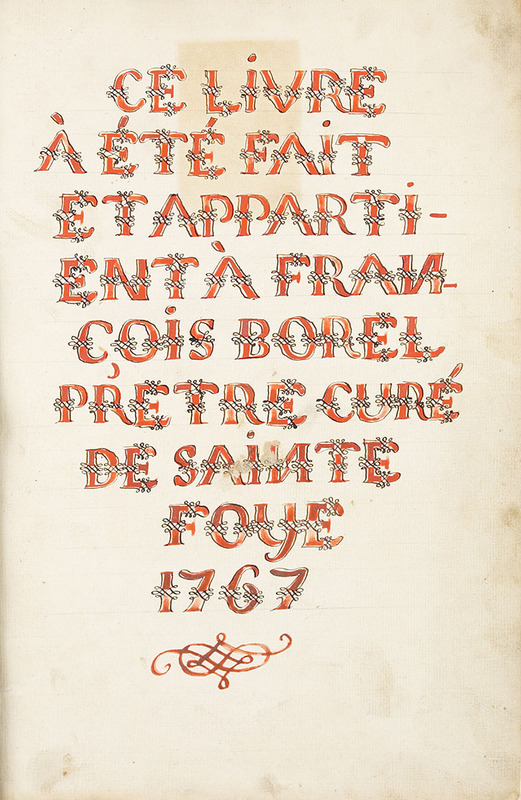 The Gregorian Institute of Canada and McMaster University gratefully acknowledge the assistance of Library and Archives Canada in the research and design of this exhibition, and in the writing, and translation of the texts that accompany it. 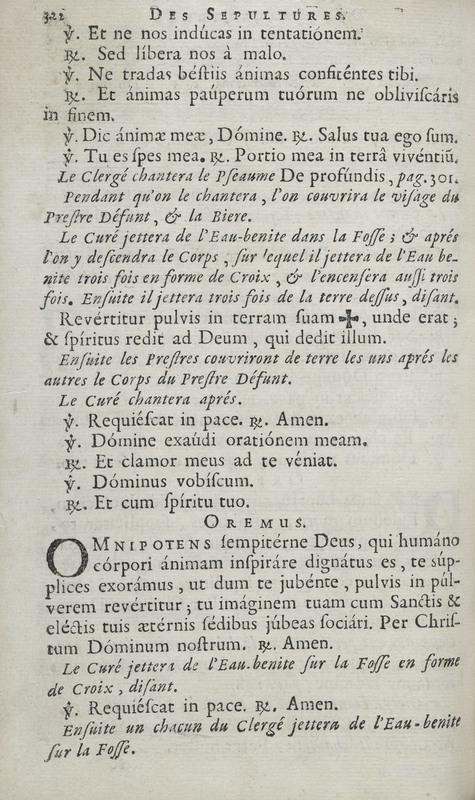 Guillaume-Gabriel Nivers, In festo Vitae interioris Domini Nostri Iesu Christi (Paris : Robert Ballard, 1668). 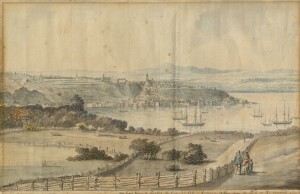 Library and Archives Canada. MusRare M2149.3 N58 1669. 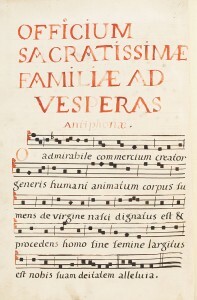 This is one of the earliest chant editions specially destined to the Seminary of Saint-Sulpice, comprising the office and mass to be celebrated on the occasion of three feasts: Vitae interioris Domini Nostri Iesu Christi (celebrated on the Thursday following the second Sunday after Easter); Divini Sacerdotii Domini Nostri Iesu Christi (celebrated on August 30); and Vitae interioris B. Mariae Virginis (celebrated on October 19). 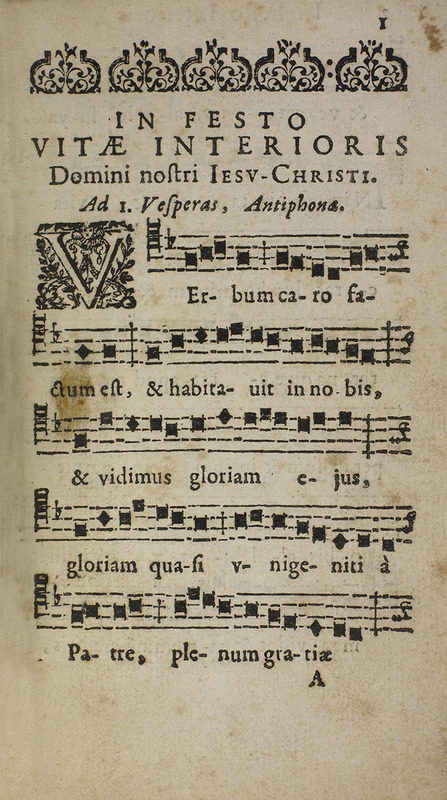 For each of the three feasts, the antiphons of first Vespers, of the Magnificat, and of second Vespers, as well as the mass Proper are provided. 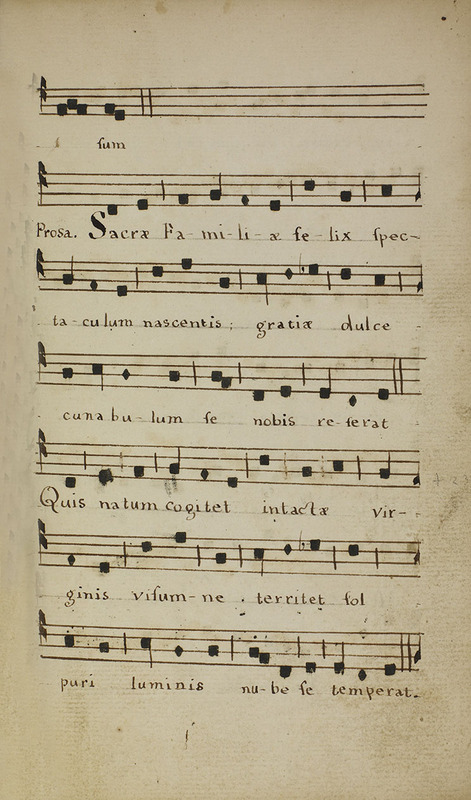 The final 24 pages include the Kyriale and hymns for first and second Vespers of each feast. 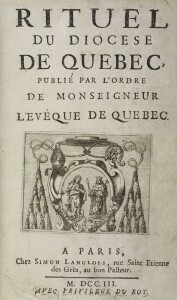 Rituel du diocèse de Québec : publié par l’ordre de Monseigneur l’évêque de Québec (Paris : Simon Langlois, 1703). 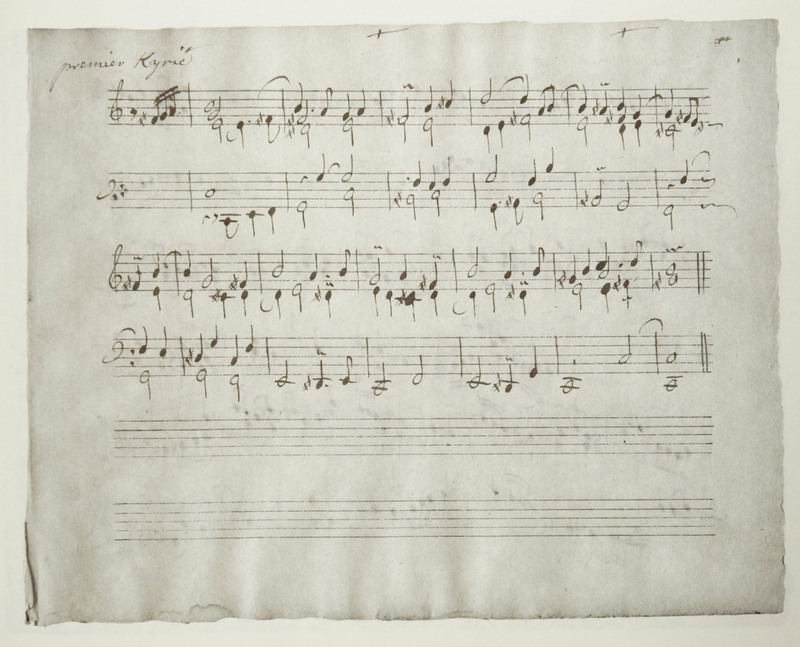 Library and Archives Canada. BX 2035 A2 1703. 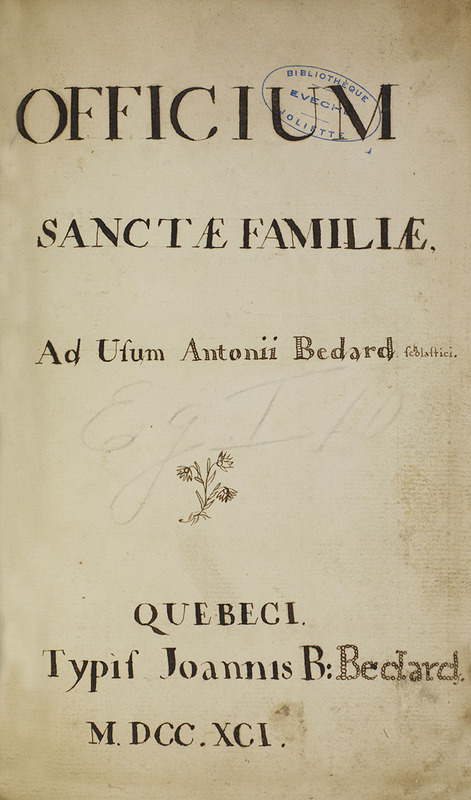 Commissioned by Monsignor de Saint-Vallier, Bishop of Quebec, this Rituel is the first manual of practical information to describe the pastoral tasks of a priest in New France. 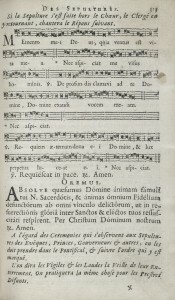 It includes examples of notated liturgical chant. 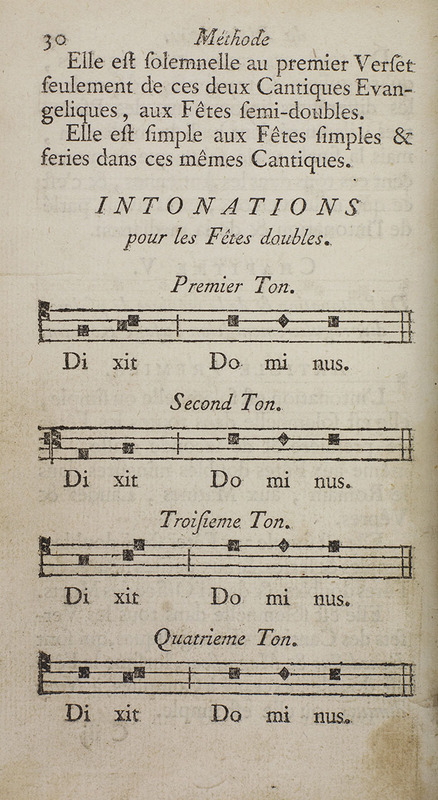 François de La Feillée, Méthode nouvelle pour apprendre parfaitement les règles du plain-chant et de la psalmodie […] (Paris : A. Poitres, 1748). 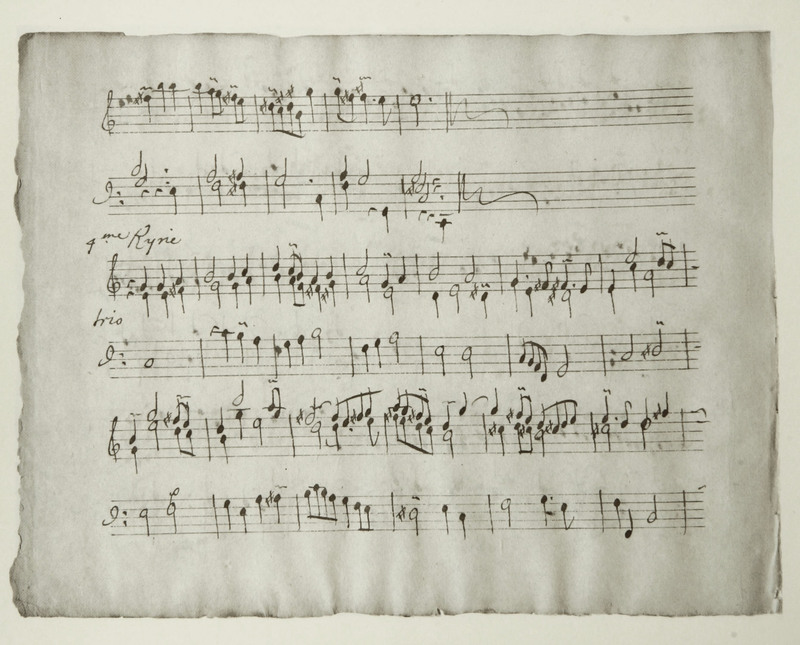 Library and Archives Canada. MT860 L3. 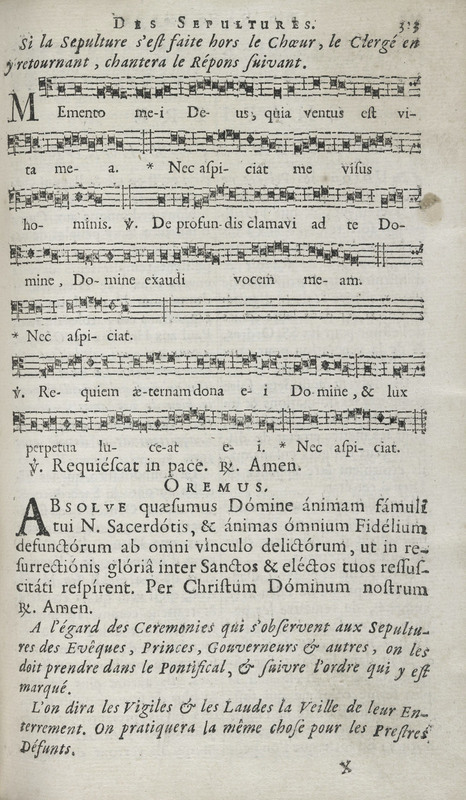 La Feillée’s method contains motets for the principal liturgical feasts and also for the Elevation. 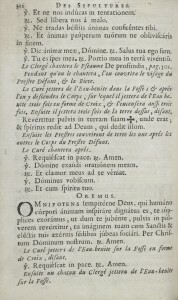 François de La Feillée was an ecclesiastic from Poitiers who enjoyed a certain popularity both in France and in New France. 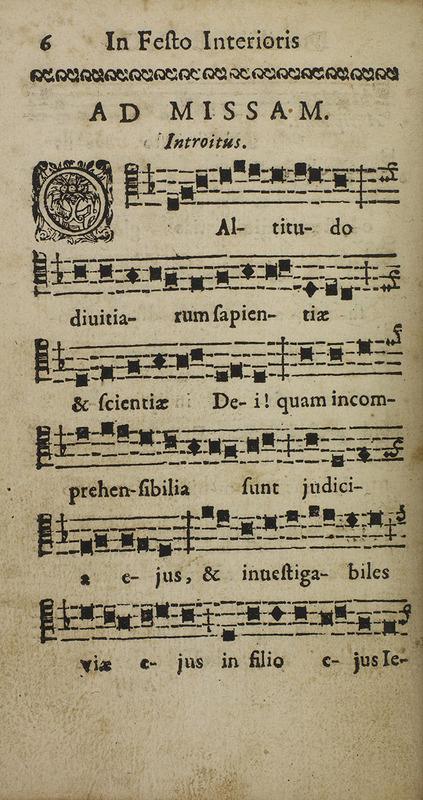 He professed to be a follower of Nivers and a “corrector” of plainchant which, in his method, feature added ornamentation in diamond-shaped notation, and precise prosody rules. 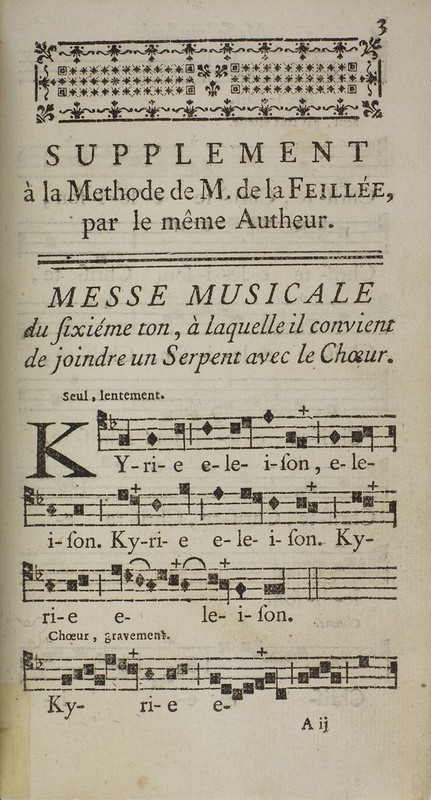 François de La Feillée, Messe musicale du sixième ton, à laquelle il convient de joindre un serpent avec le chœur (Paris : A. Poitres et se vend à Paris par J.T. 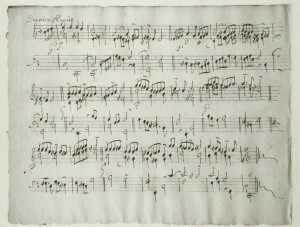 Herissant, 1751). Library and Archives Canada. MT860 L3. 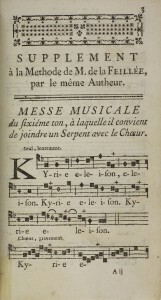 Published three years after his Méthode, this mass by La Feillée clearly stipulates the use of an arcane wind instrument called a serpent to accompany the choir. 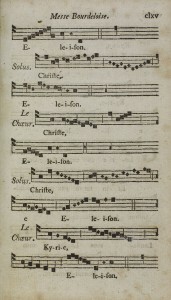 François-Xavier Borel, Livre de chants grégorien (sic), manuscript (Sainte-Foy, 1767). Library and Archives Canada. 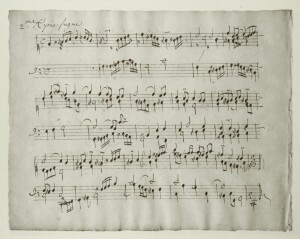 CA ANC MG18 E21. 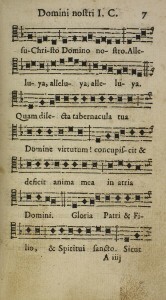 In 1767, François Borel, parish priest of Sainte-Foy for nearly a quarter-century, transcribed in his own hand the music and Latin words of the liturgical chants, mainly hymns, in this book. 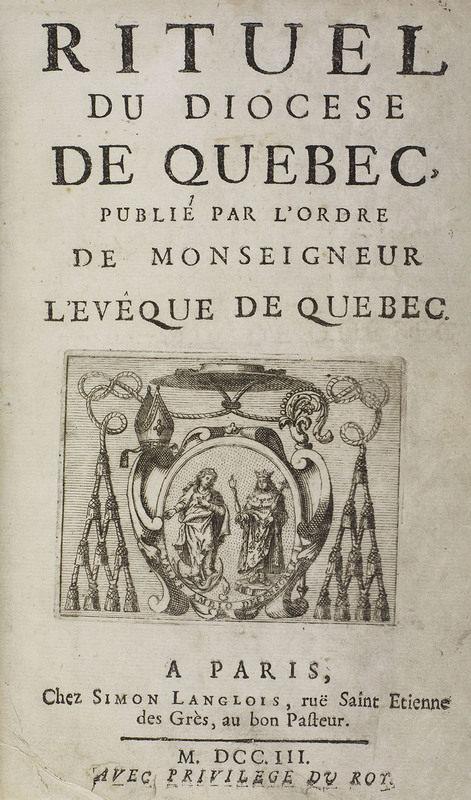 It was used for several years in this parish, situated near the city of Québec. 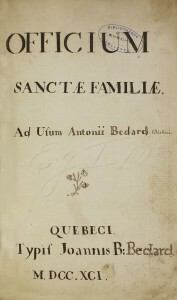 Officium Sanctae Familiae ad usum Antonii Bedard scholastici, manuscript (1791). Library and Archives Canada. MG 23 G V 12. 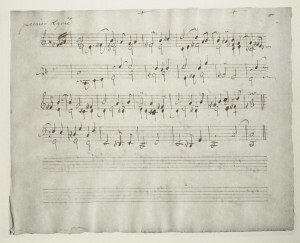 The composer of the Prose de la Sainte Famille (Prosa Sacrae Familiae) is likely to have been the priest and musician Charles-Amador Martin (b. Québec, March 7, 1648, d. Sainte-Foy, near Québec, June 19, 1711). 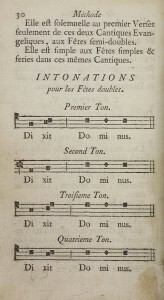 —Jean-Pierre Pinson, “Le plain-chant de la Nouvelle-France,” in La vie musicale en Nouvelle-France by Élisabeth Gallat-Morin and Jean-Pierre Pinson (Sillery, Quebec : Les éditions du Septentrion, 2003, p. 188). 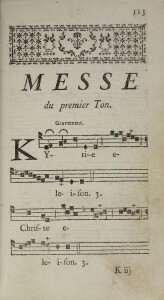 “Messe Bordelaise” in Graduel romain à l’usage du diocèse de Québec (Québec: John Neilson, 1800). Library and Archives Canada. MusRare M2148 L4 1800. 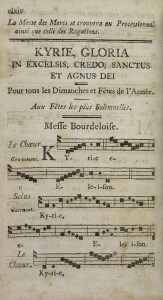 Extremely popular in Quebec until the early 20th century, the Messe Bordelaise is no doubt a perfect example of the kind of plainchant written in the mid-18th century: a combination of strict and more “theatrical” chant. 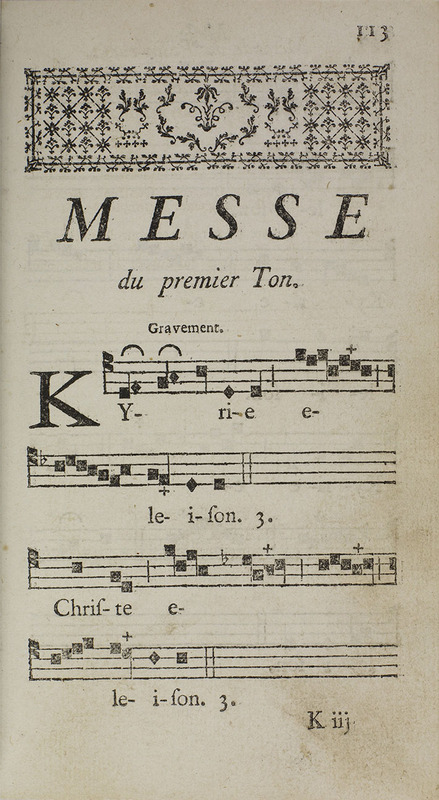 This Messe Bourdeloise, as it was sometimes spelled, is taken from the first book of printed notation ever made in Canada. 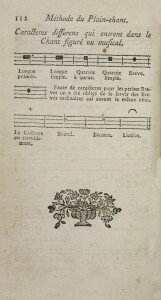 Le Livre d’orgue de Montréal, facsimile (Montreal, Fondation Lionel-Groulx, 1981), p. 507-512. 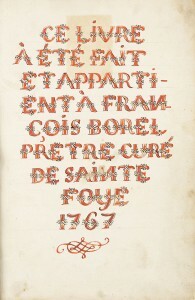 Bibliothèque et archives nationales du Québec. 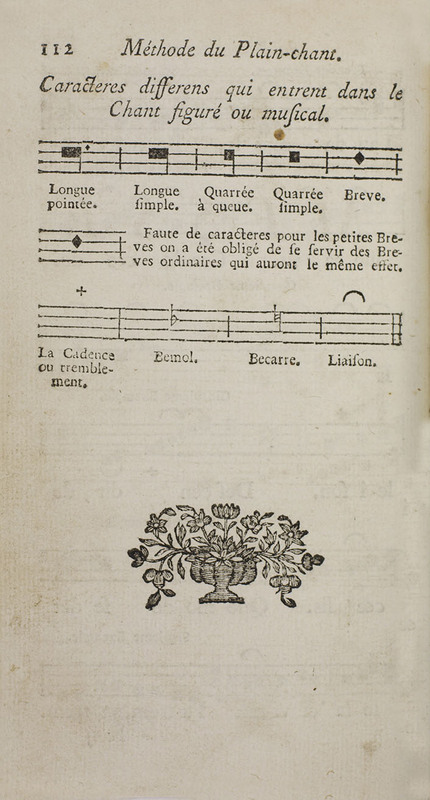 Grande Bibliothèque – Niveau 4-Coll. 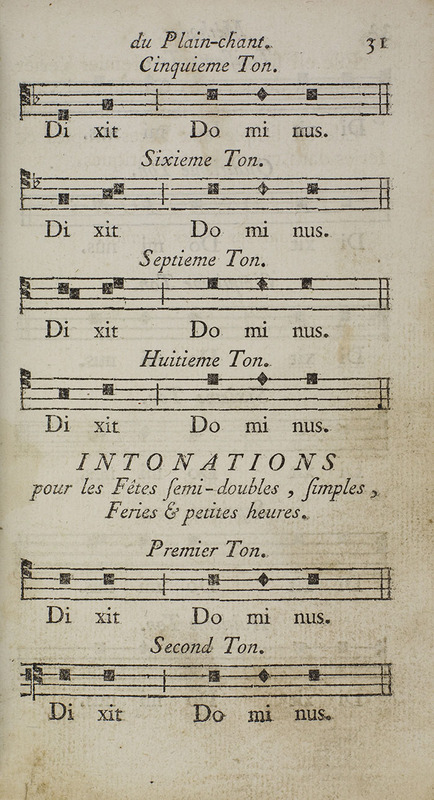 nation.-Musique – Partitions musicales – 786.5 L7886 1981. 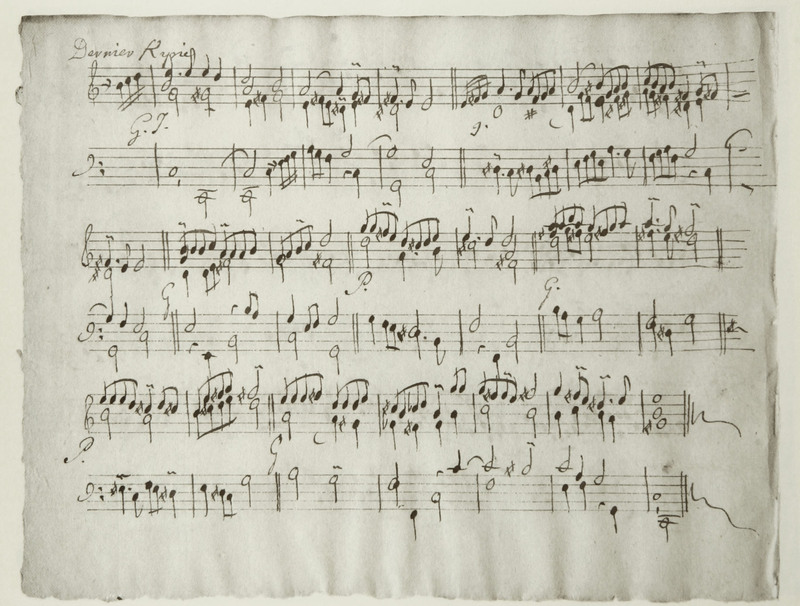 Kyrie from Messe en mi. 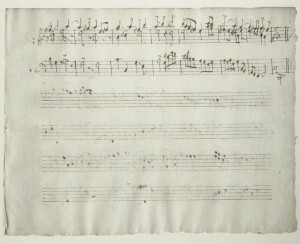 The base line of the first Kyrie is borrowed from Henri Du Mont’s Messe Royale du Premier Ton, which was very popular in Nouvelle-France. 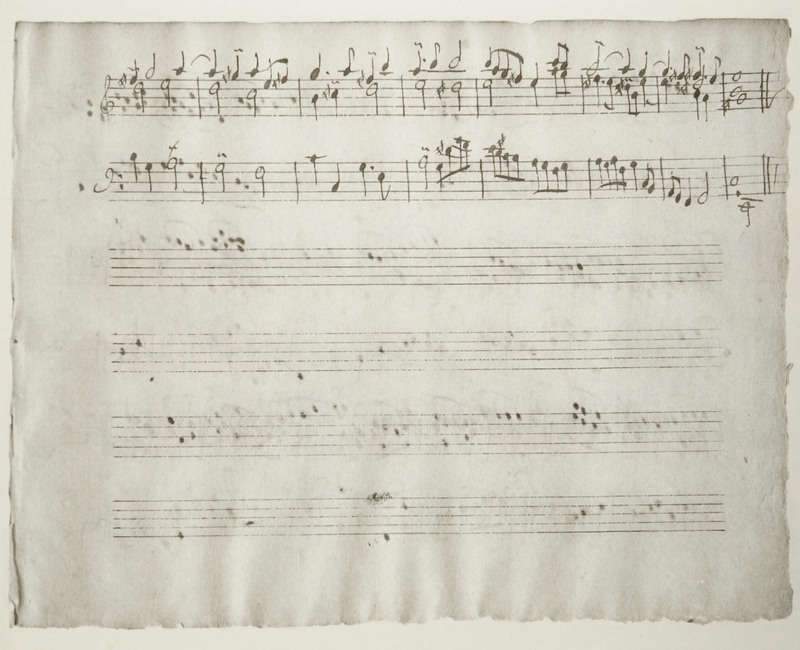 In 1724, a Sulpician cleric from Bourges (France), Jean Girard (1696-1765), arrived in Montreal bearing a 540-page manuscript of organ works. 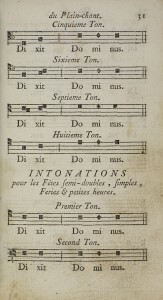 Named the Livre d’orgue de Montréal, the manuscript was found to contain the largest extant collection of French organ music from the time of Louis XIV. 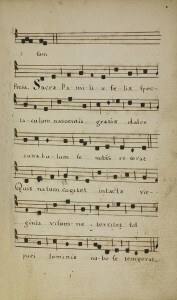 It is principally composed of Magnificat and Mass organ verses to be performed with plainchant alternatim. 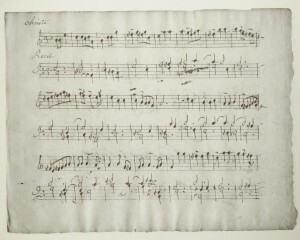 With the exception of sixteen pieces that have been attributed to Nicolas Lebègue (1630-1702), the works in this manuscript are anonymous.